I was around four, maybe five years old when Dad took me along on a trip to look at stereo equipment at the local Federated. In the middle of the store, there was a Nintendo Entertainment System set up with a Zapper and a copy of Duck Hunt. While Dad browsed, I spent a solid hour killing 8-bit ducks. I’d never seen anything like it before; it was the first video game I’d ever played. By the time Dad was ready to leave, I knew that I had to have an NES immediately. I had to be dragged out of the store, screaming in full-on temper tantrum mode by the time I was in the parking lot. I still remember Dad telling me that Mom would “skin us both alive” if he bought an NES that day. People stared as I was shoved, kicking and crying, into Dad’s station wagon. I sulked the entire ride home. That Christmas, Santa brought me a Deluxe Edition Nintendo Entertainment System set, complete with R.O.B., Gyromite, and Duck Hunt. Life was better than it had ever been. Duck Hunt played a vital role in my personal development. Years later, video games are still very much a part of my life and career. 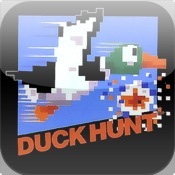 Duck Hunt also serves to illustrate why the iPhone is the worst thing to ever happen to mankind. 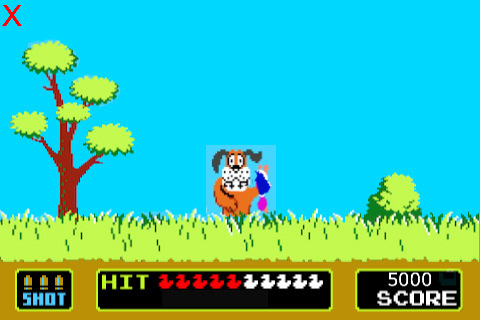 Duck Hunt was also released as an arcade game in 1984 as Vs. 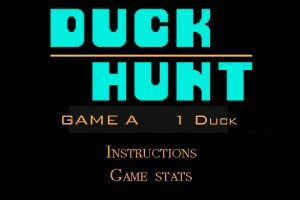 Duck Hunt, and is included in the Play Choice-10 arcade console. 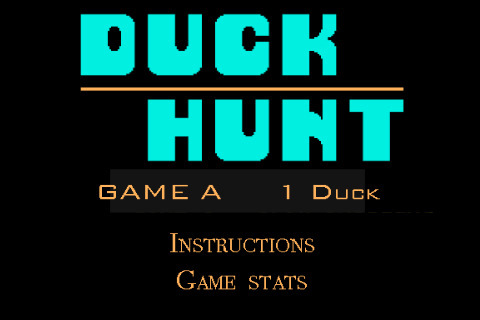 * One Duck – In each round, there are 10 ducks for the player to shoot down. Only one duck appears on screen at a time, and the player has three shots to hit it. 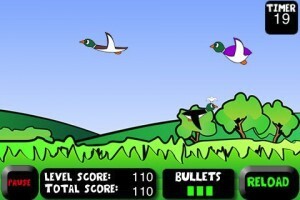 In the first mode, a dog retrieves the ducks a player shoots, and laughs at the player if both of the birds on screen escape (and if the player fails to advance to the next level). The dog being shot in Vs. Duck Hunt. Congratulations. You invented Duck Hunt. That was really forward-thinking of you, to release the game in 1984 so that you could sell it as a $2.99 iPhone app 26 years later. Its time to duck hunt with Duck Hunting! 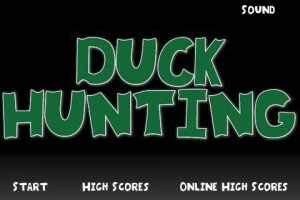 Become a duck hunter and try to get as many points as possible by shooting ducks! Now THIS looks more like an iPhone game. Ever seen what it looks like when a programmer tries to draw? If not, now you have. 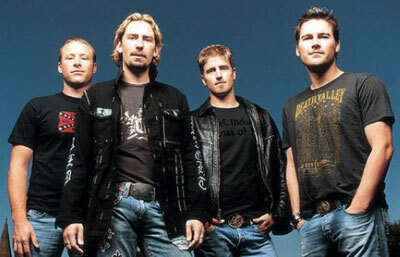 Nickelback’s “Photograph” was released as downloadable content for Rock Band 2 recently, bringing a bit of personal history full circle. Much like how the heart-wrenching lyrics of “Photograph” reflect on wasted youth, I would like to take this moment to examine how the song made itself an unforgettable part of my life. 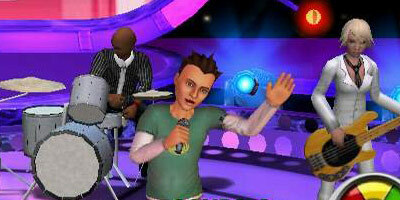 Back in 2007, I was assigned a review for Karaoke Revolution Presents: American Idol — the latest entry in Konami’s singing franchise, and the first to carry the American Idol license. 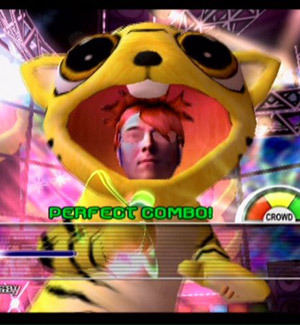 Reviewing any karaoke game is always a challenge, since any given reviewer is only going to know how to sing about half of the songs included on the disc. So I worked my way through the setlist, listening to some songs for the very first time and learning how to sing them on the spot. After singing it so many times in a row, the lyrics stopped mattering entirely, and at one point I managed to get a perfect score on the song just by deliriously singing the word “Nickelback” over and over. 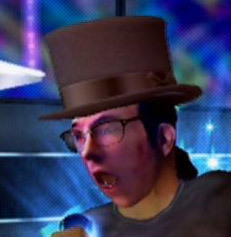 What made this particularly memorable was the custom character I’d created for the game using a feature that allows players to capture their own faces with an EyeToy camera. This was, actually, a pretty neat concept. 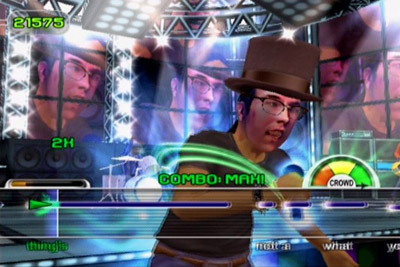 Players represent themselves in current-generation games with Xbox 360 Avatars and Miis; putting their actual faces on in-game characters was an unusually forward-thinking idea back in 2005. So why hasn’t this feature been used in any game since? Well, it might be because it makes you look like a muppet burn victim. Imagine this guy — this monster — singing along to “Photograph” using only variations on the word “Nickelback,” and you’ll understand why I love this song so much, even though it is actually quite terrible. To its credit, though, Karaoke Revolution Presents: American Idol at least gave me an outlet for my secret furry fetishism. Last weekend, thanks to Rock Band 2, I sang a cover of “Photograph” that lay dormant for three years — this time with a backing band. It was every bit as wonderful an experience as I’d hoped. I then followed up with similarly stirring renditions of the Spin Doctors’ “Two Princes” and Smashmouth’s “All Star” shortly before passing out.